CARDIFFWALESMAP • View topic - Is this the End ? With recent disappointments in high rise buildings being shelved, is this the End of Cardiff getting a 30 plus story tower ? There also does not seem to be much planned tower wise at the moment.. Is this the End of towers for Cardiff for the foreseeable future ? Re: Is this the End ? AlwaysBeBlue wrote: With recent disappointments in high rise buildings being shelved, is this the End of Cardiff getting a 30 plus story tower ? What is your post based on? 2 mid twenties towers have gone through planning in recent weeks, and none of the others planned have been officially cancelled. It's common for projects to go through master-planning, then outline planning, sometimes even detailed planning and never happen, for the plot to be sold on, for it to be redesigned. That's just business for you and it happens all over the world. We have 3 above 2 floors at various stages of construction right now. The Premier Inn is about to start in earnest, and there's that much confidence in it as a project it has been sold before construction has even started. I'm not concerned. Things change in cities in all sorts of ways. Has the student housing boom come to an end? Maybe, but then tower wise we haven't really had that many applications anyway, most related to this sector have been low rise or mid rise, with one or two mid-rises just getting approval. As far as other sectors are concerned things seem on the up hotel wise and maybe the residential market is waking back up. Only time will tell I guess, and hopefully the big one at Hope Street will still happen, but maybe in another form or in reduced height but still above 30+ floors. EDIT: just seen the Capitol thread, but we never actually saw a real plan did we? All great points Kyle! also Bayscape phase two, John Street Tower, Fitzalan Place, Bus Station residential? Bradley Court (duck!) and Central Quay - reasons to be cheerful! I was absolutely gutted when I discovered that our Hope tower was on hold, but there does seem to be a desire from the developer to build that tower, so (as ever) we'll have to be patient! The next one I'd love to see get underway (demolition required first) is crawshay court. paul cardiffwalesmap wrote: All great points Kyle! 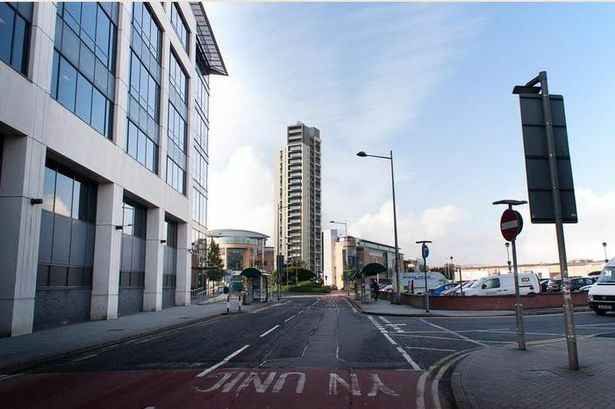 also Bayscape phase two, John Street Tower, Fitzalan Place, Bus Station residential? Bradley Court (duck!) and Central Quay - reasons to be cheerful! I was absolutely gutted when I discovered that our Hope tower was on hold, but there does seem to be a desire from the developer to build that tower, so (as ever) we'll have to be patient! The next one I'd love to see get underway (demolition required first) is crawshay court. I'm positive Crawshay Court will happen as it's being developed by Portabella. Brickworks is at 40% reserved already with no show room and over a year to go until completion. I was initially interested in buying at Brickworks and they told me then that they'll be doing a tower here.